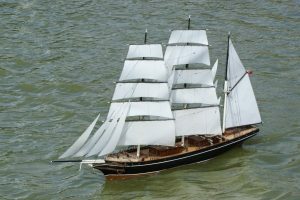 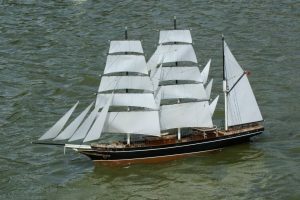 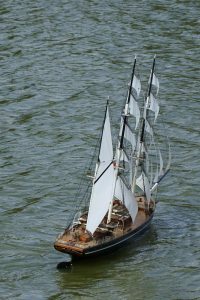 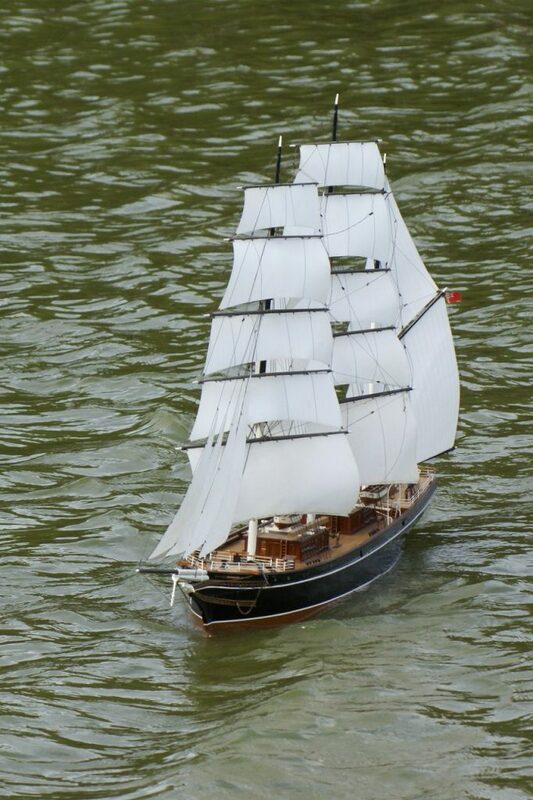 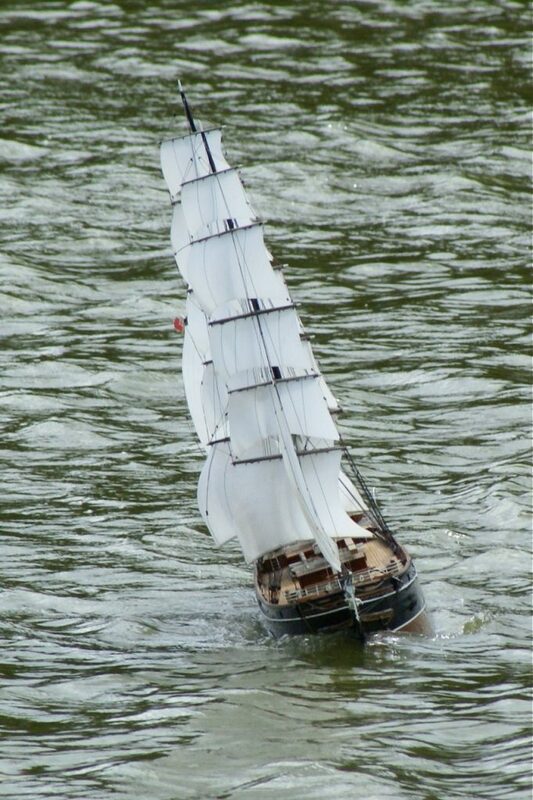 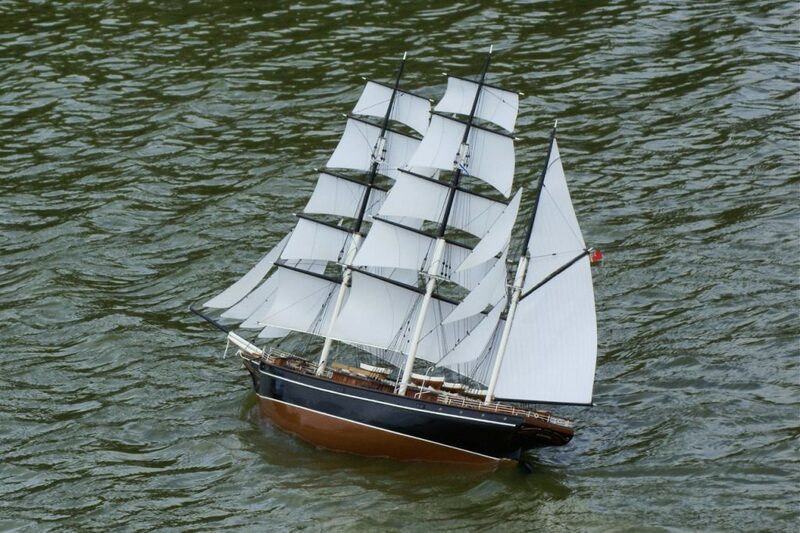 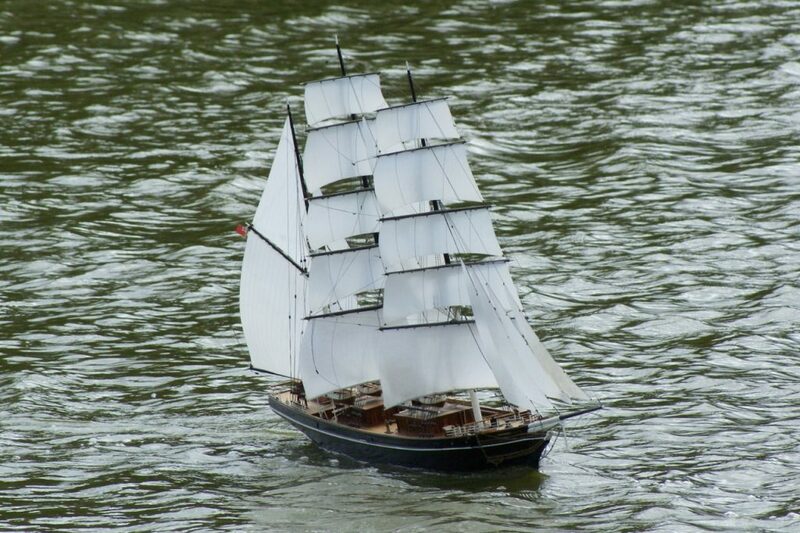 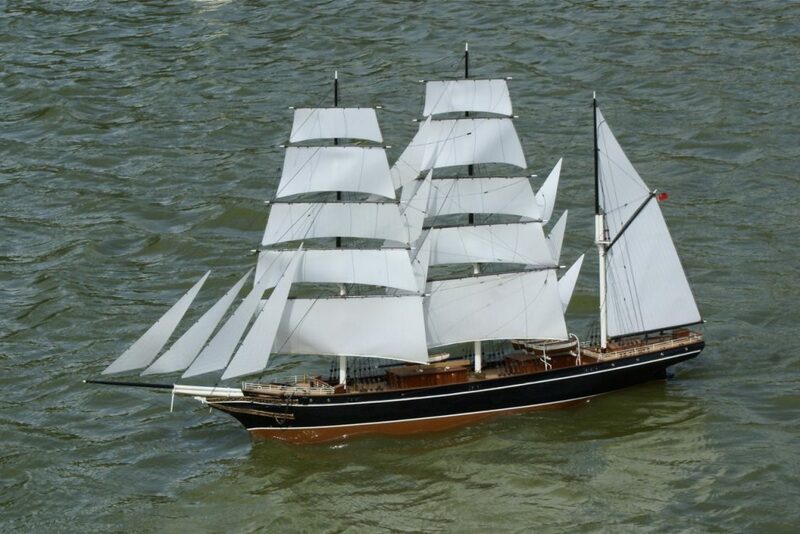 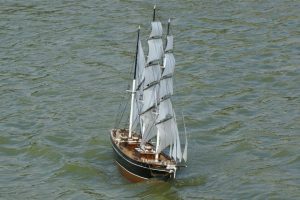 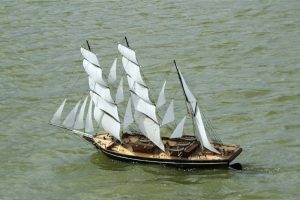 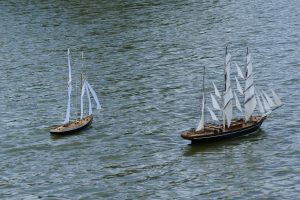 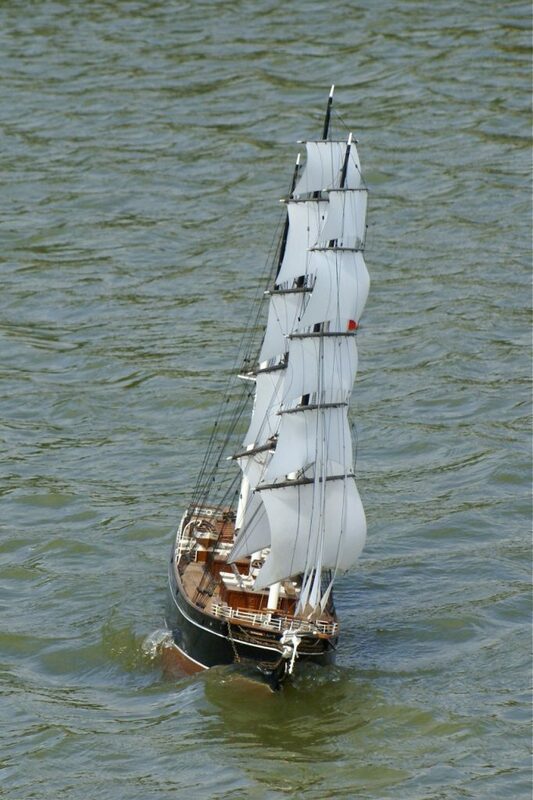 Bankburn, a barque (like a clipper but with a fore-aft sail on the aft mizzen mast). 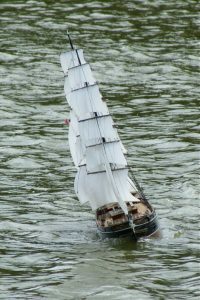 Model: David Edwards. 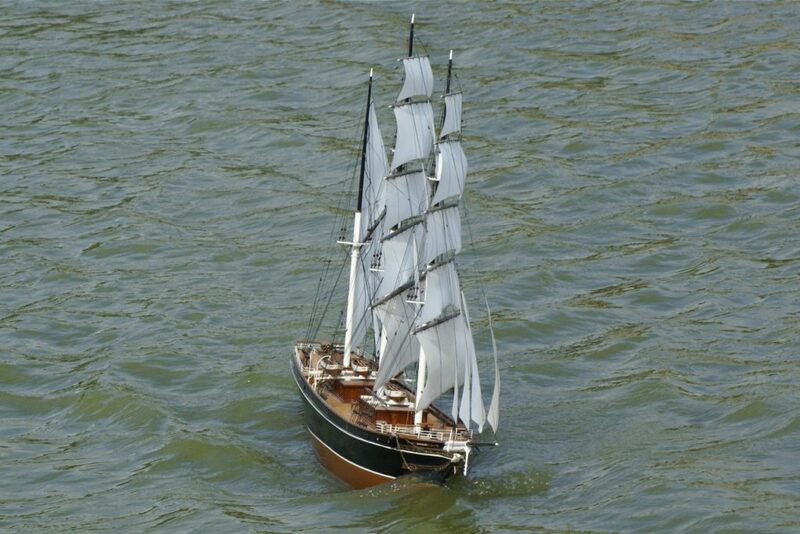 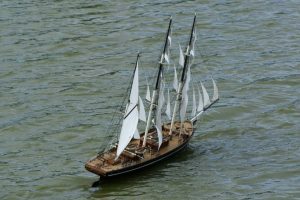 Bankburn was a steel barque, classed 100A1, with 2 decks and 1427 gross register tons. 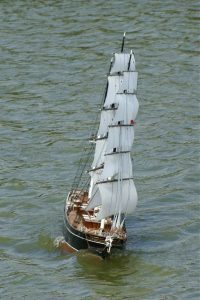 She had 3 masts of 78.9 feet, 80 feet, and 79 feet, steel wire and hemp rigging, 3 anchors of 34, 32, and 31 tons and some 270 fathoms of chains. 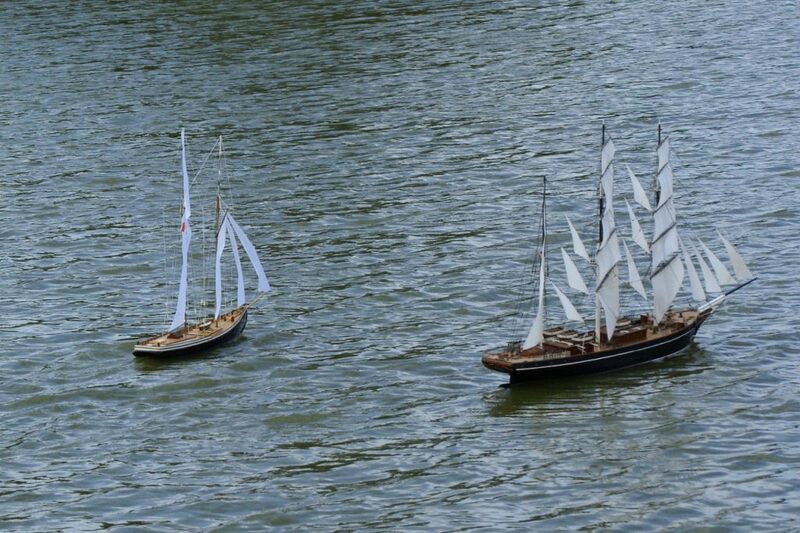 There were two life boats and two other small boats, She was built in just 5 months in 1890 by Grangemouth Dockyard Co. and owned by Bank Shipping Co. of Limerick, who also owned the barques Bankhall, Banklands, and Bankleigh, and belonged to the port of Liverpool. 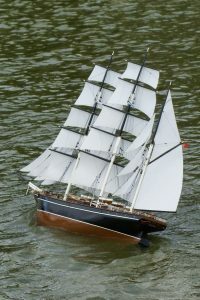 Her Managers were W. Just & Co. and her Master was 50 year old George Wyllie. 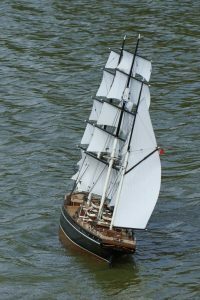 She had a length of 261 feet, a breadth of 37.6 feet, a depth of 21 feet, a poop deck of 33 feet, a forecastle of 25 feet and accommodation for 28 seamen.